Transitioning to a self-service BI model requires IT to adopt a collaborative approach that includes business users and analysts as they assess platform options. But what attributes should be evaluated and which ones are most important? 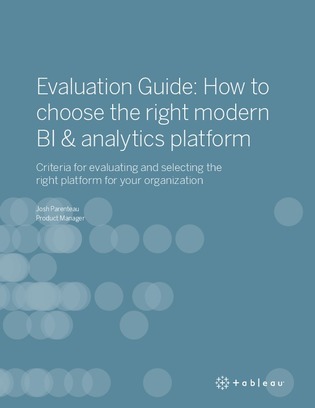 In this evaluation guide, review 5 key areas for evaluating BI and analytics platforms and how each one of these areas impacts IT/BI professionals vs. information consumers vs. content creators.